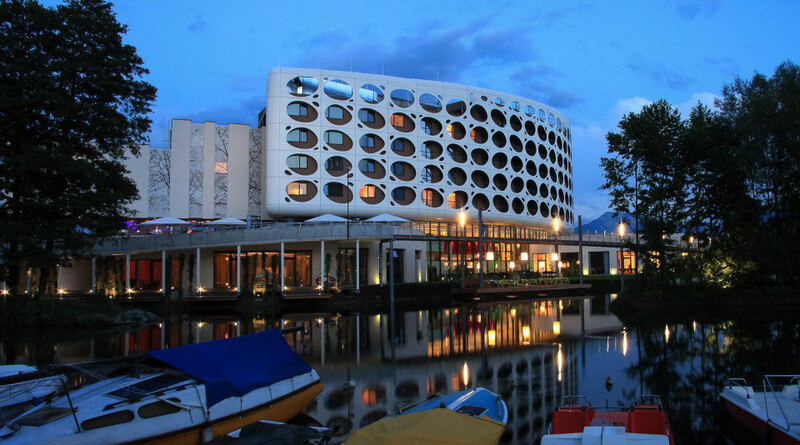 The Seepark Hotel Lindner in Klagenfurt, Austria immediately draws attention with its uniquely perforated exterior. 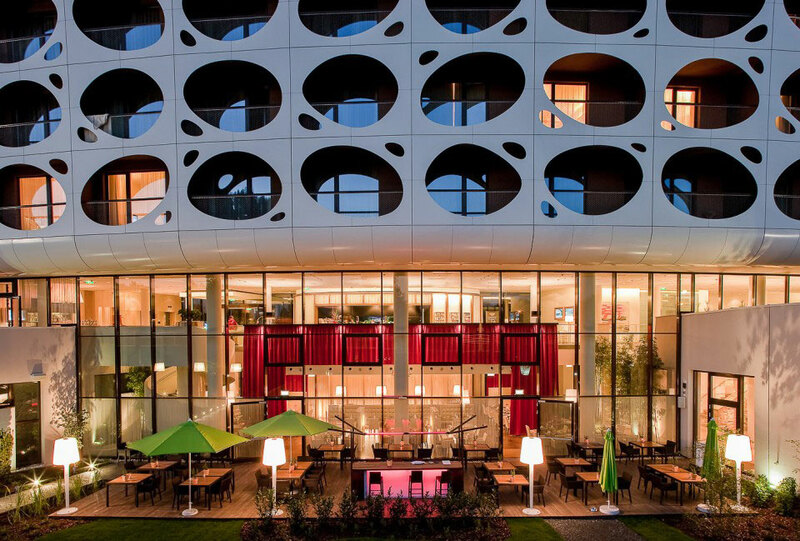 The hotel, designed by Trecolore Architects, separates the street and a natural park, which provide serene views for the hotel’s patrons. 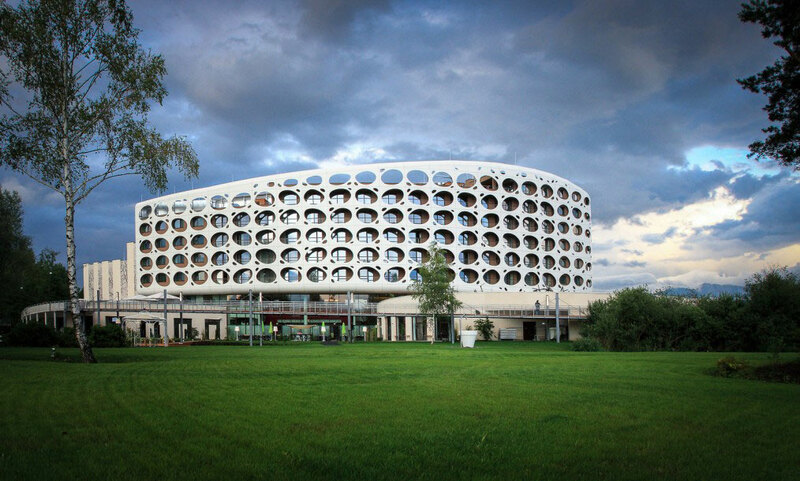 The curved exterior, known as the bubble façade, was created utilizing white Alucobond aluminum composite material that is mounted in front of the hotel’s balconies. The diversity of the façade is captured in its natural color palette, showcasing a brown plaster on the road-facing façade, the white bubble portion and also wood and coppice portions as well. Organic is nature; the subtle nuances of the building’s design are complimented by its surroundings. Creating a distinct appearance against the lush green landscape. 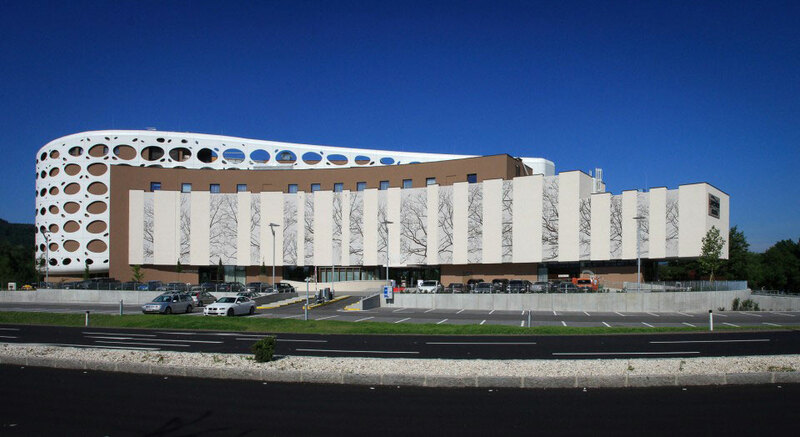 The secondary building, used for business and conference functionalities, has a much harsher geometric form. 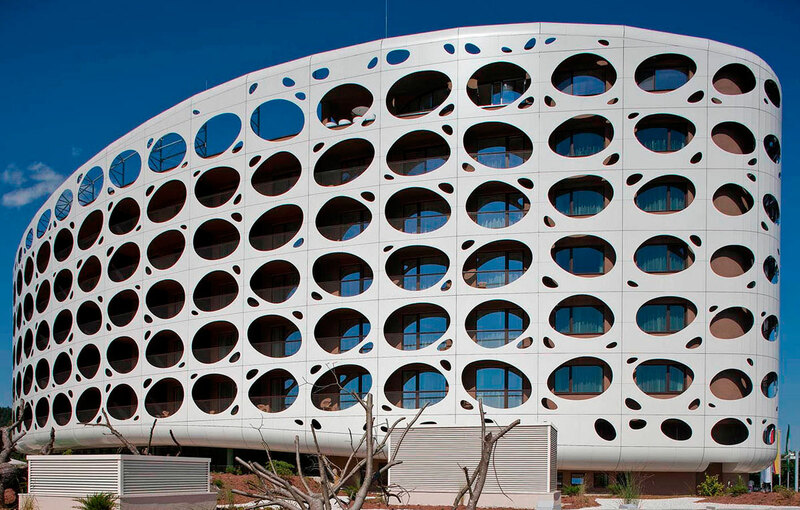 It serves as yet another interesting dynamic used to highlight the curved hotel portion of the façade. The master plan of the outdoor facilities was important to the whole project. The enlargement of the littoral zones and the erection of a small harbor was key of the concept in terms of design and function to allow accessibility for guests by boat. Hi, i am from Tijuana Mexico, and i need information of your alucobond’s products, i need to know if you can send me a sample to San Diego City, and how much does it cost?? ?